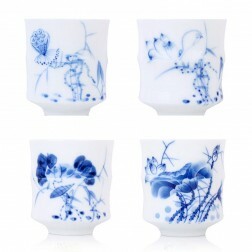 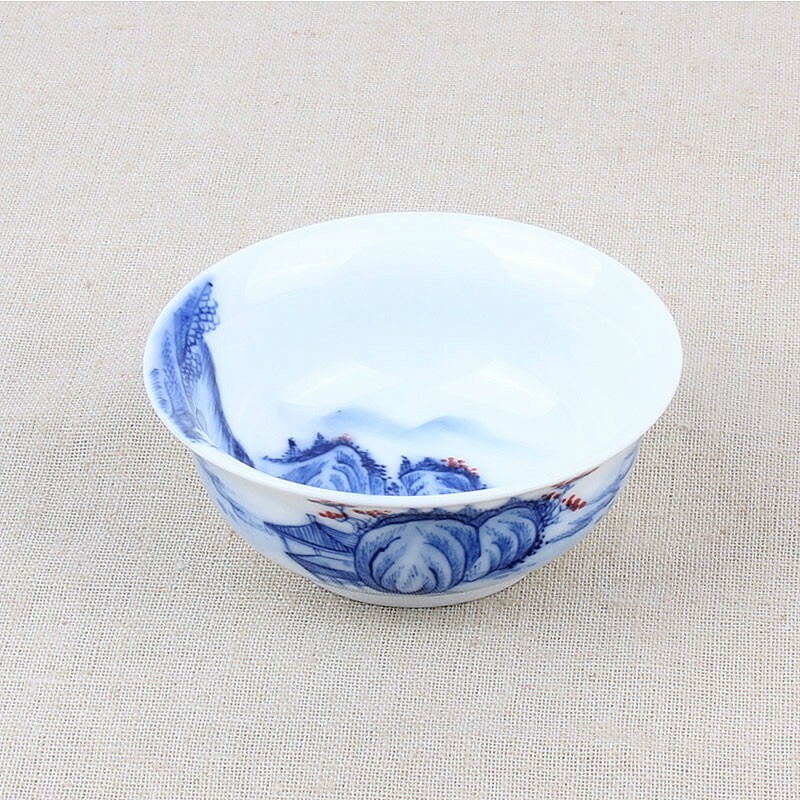 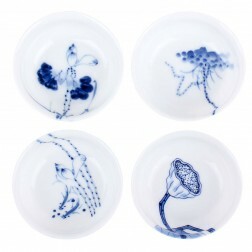 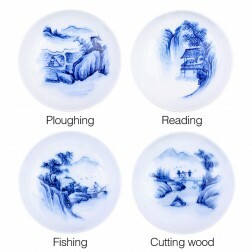 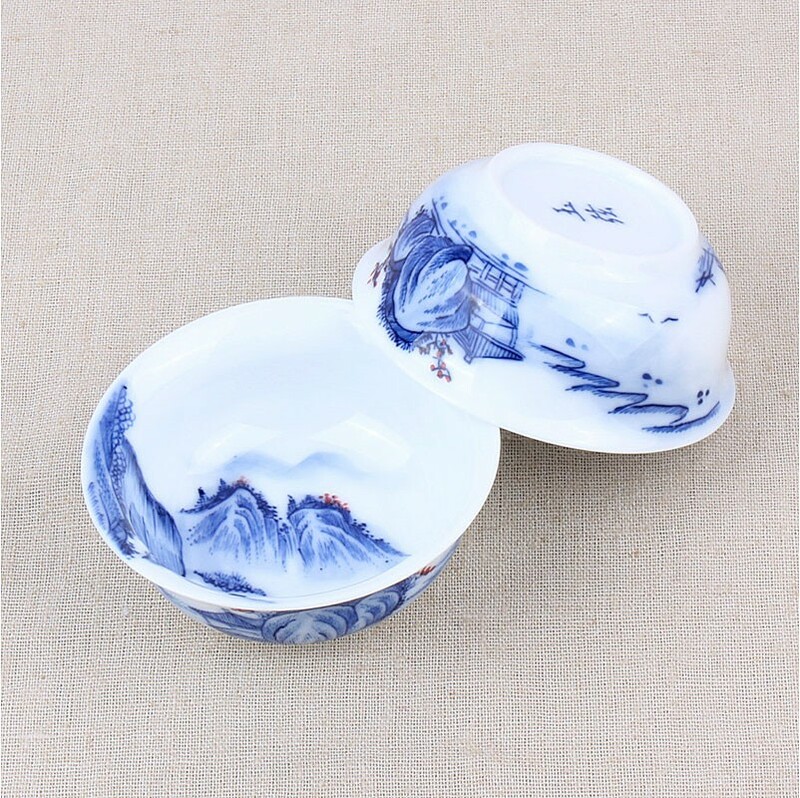 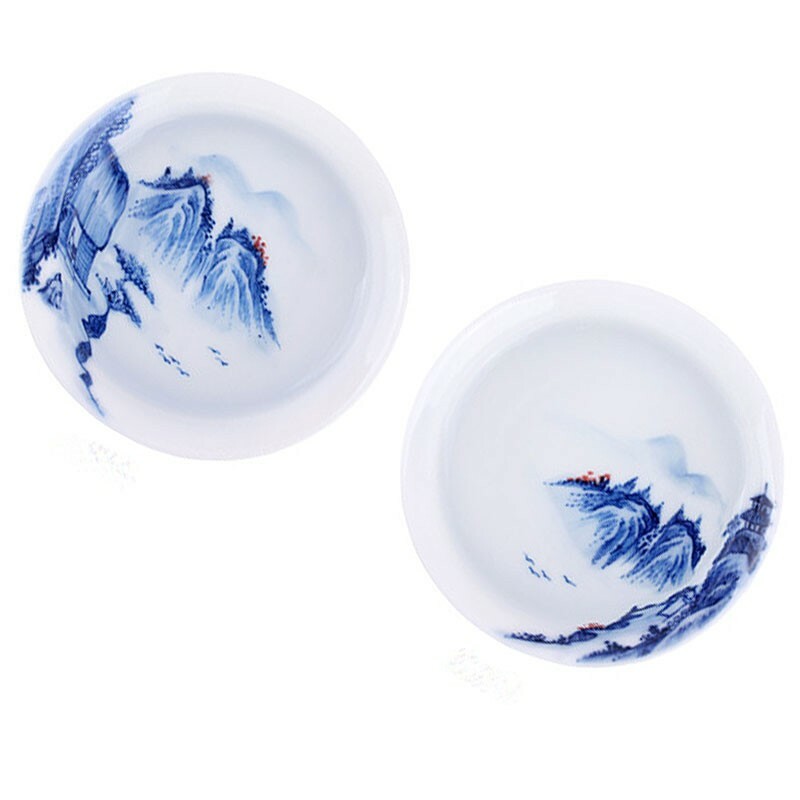 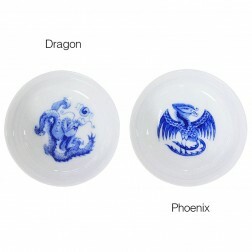 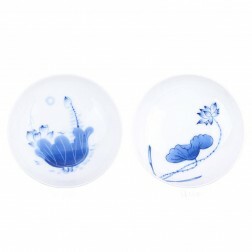 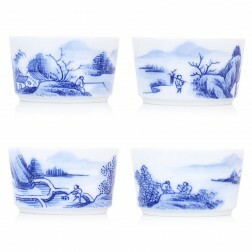 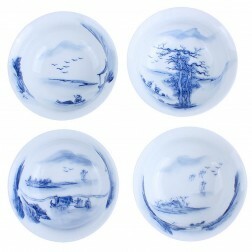 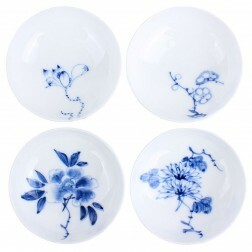 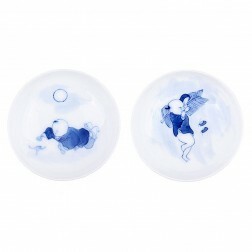 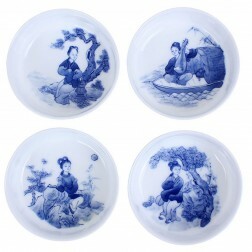 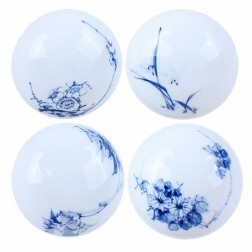 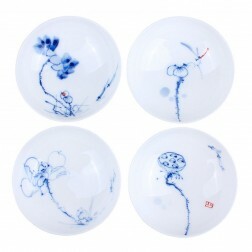 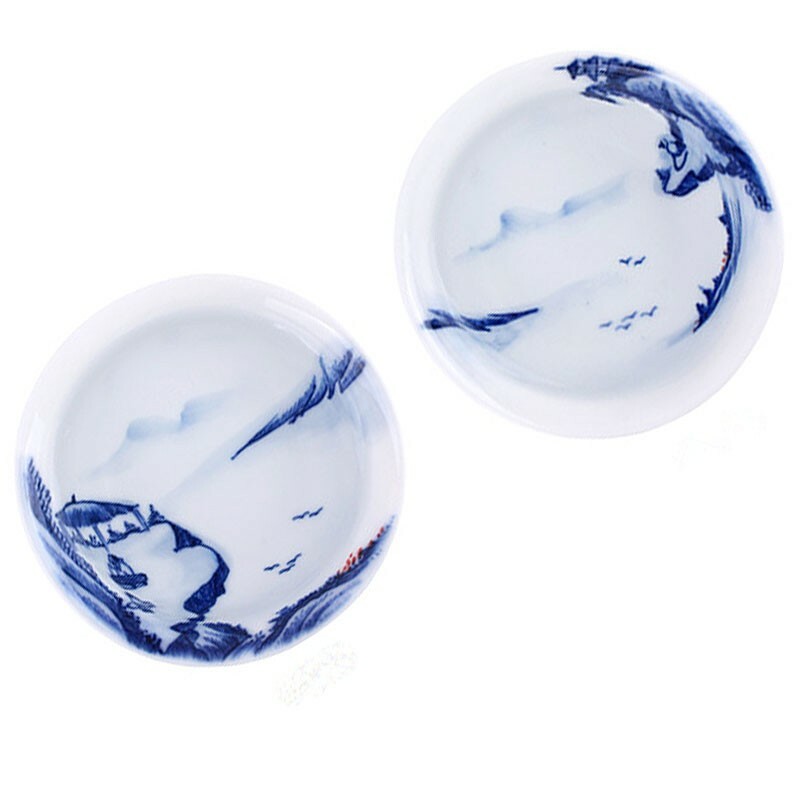 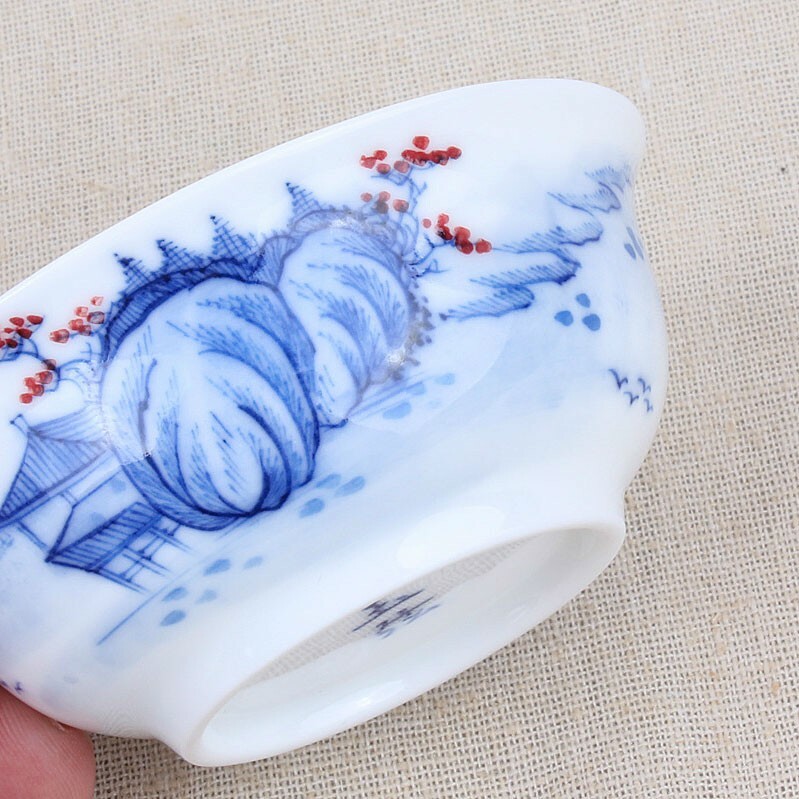 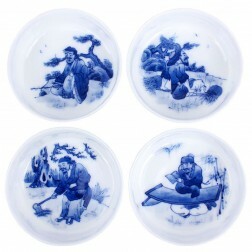 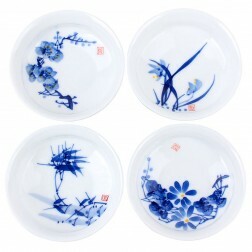 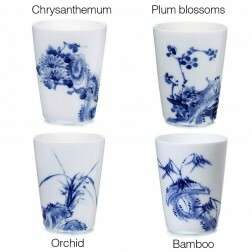 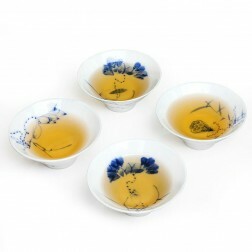 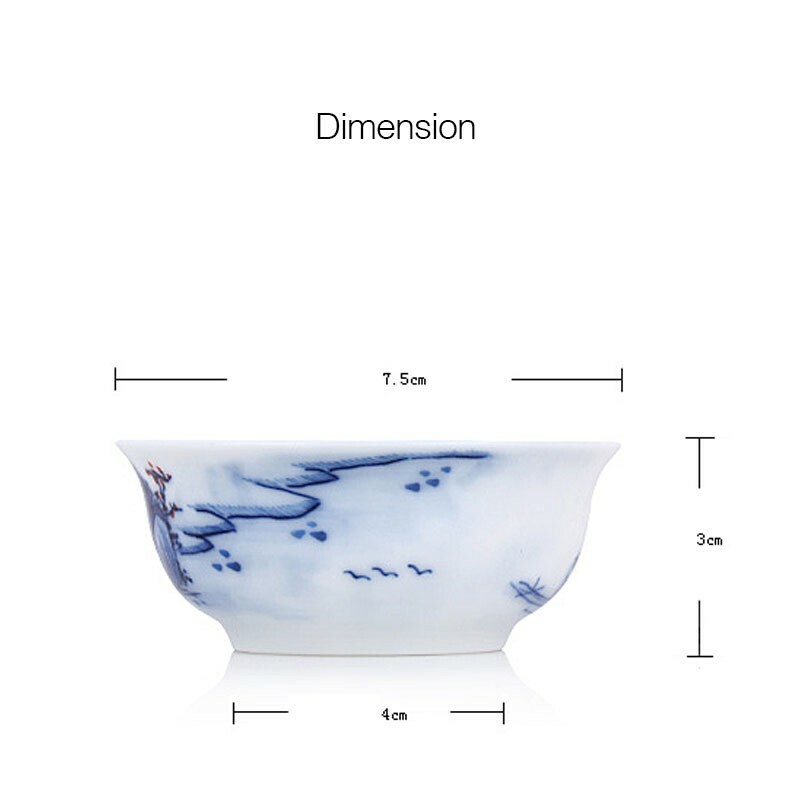 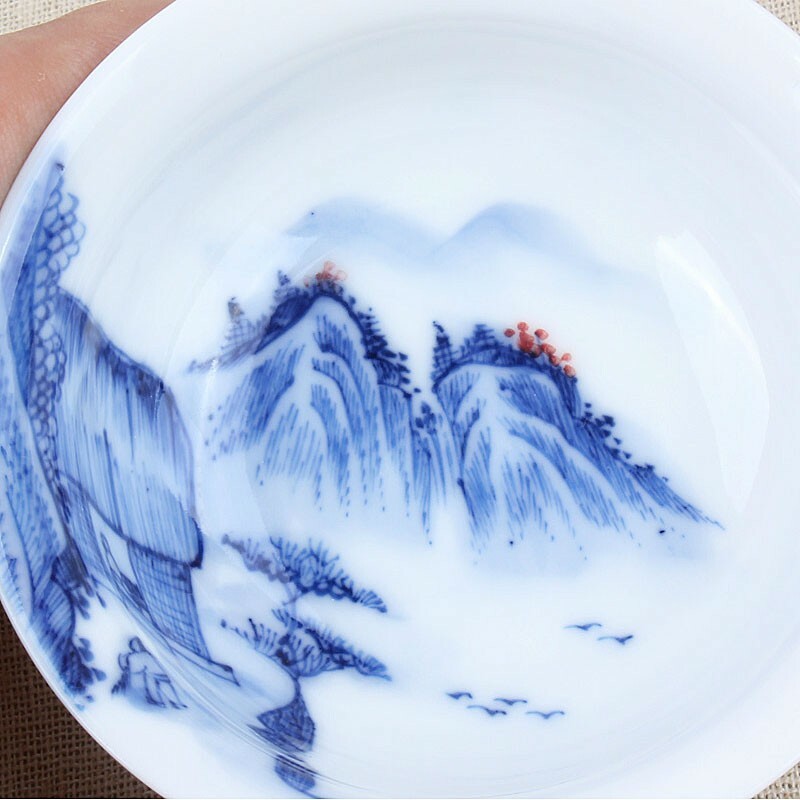 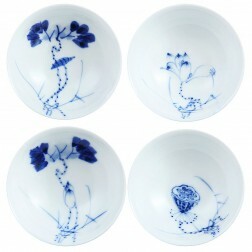 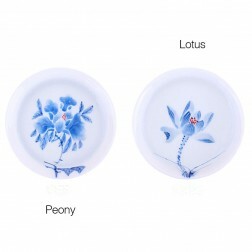 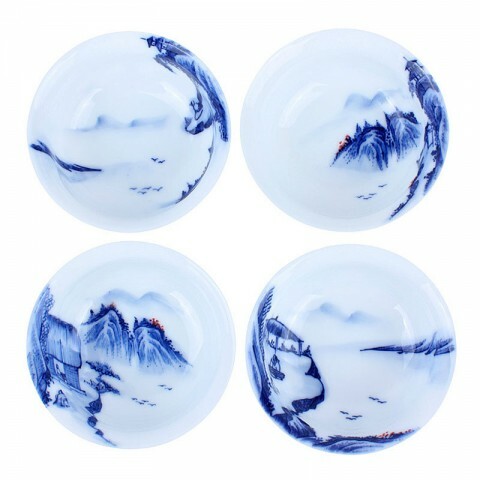 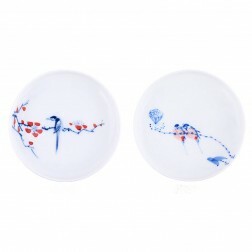 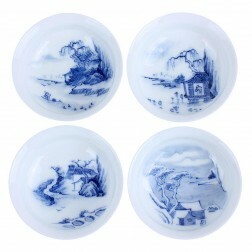 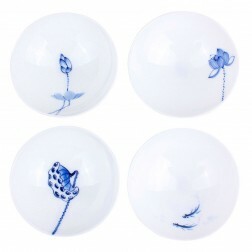 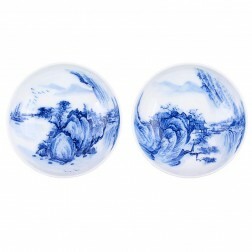 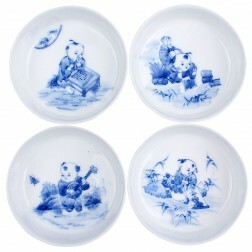 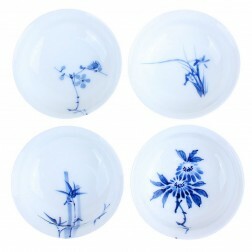 4pcs blue and white porcelain tea pot with hand-drawing landscape. 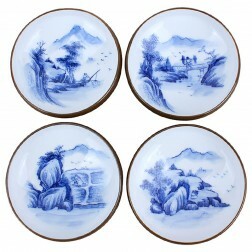 A magnificent view of spacious valley, the cliff fall by the river. 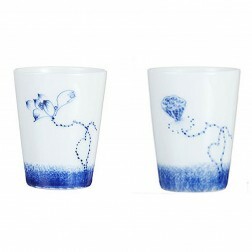 A very delicate drawing even the smallest details are fairly obvious.